It’s good to start the year off with positive intentions, like resolving to lose weight, to stop smoking or to keep better care of your vehicle. There are a couple of simple things that we can do to keep our vehicles more reliable and safe through the entire year, so here are my car maintenance tips on how to get your vehicle ready for 2016. 1. Check the battery. Most batteries are designed to last approximately 5 years. Batteries begin their life with around 650 CCA (Cold Cranking Amps), which is the amount of reserve capacity that the battery can hold. With a new battery, you can (but shouldn’t) leave your lights on for hours and your car will still start. As the battery “ages,” the internal plates develop oxidation and cannot produce the same amount of reserve capacity. There is little we can do to prevent or slow this process down, so we need to make sure we change the battery before it leaves us stranded. Batteries typically have a date code imprinted on them, so you can look to see when the battery was installed. If it is close to that 5-year limit, have it changed. Sometimes, your car will let you know the battery is getting weak by cranking slowly upon start up. If you think the engine sounds slower than normal, you are probably correct. Most automotive repair shops will do a complimentary battery and charging system inspection, so be proactive and have this done sooner rather than later. 2. Check your tires. There are three things to check for while looking at your tires. The first and most easy is to check is the air pressure in all five tires. Wondering how a car can have five wheels!? The spare tire, which is usually in the trunk, often gets missed when the vehicle is serviced. There is nothing more frustrating than getting a flat tire and finding out your spare is flat as well. There should be a sticker on the driver’s door jamb that has your car’s recommended tire pressure, so do yourself a favor and fill up all of the tires to the correct pressure. The next thing to check is the tire tread depth and condition. All tires will have as “wear indicator” that lets you know when the tread has reached 2/32 of an inch. This wear indicator is discreet and located between some of the tread blocks. If the tire tread is the same depth as the wear indicator, it is time to change your tires. Lastly, we need to make sure that the tires are not too old. Rubber can dry out over time and cause the tires to get hard and eventually fail due to age. The Department of Transportation (DOT) recommends changing your tires when they are 10 years old. You can determine how old your tires are by locating the DOT number on one side, and the last four digits of that number designate the week and year that tire was manufactured. If the tire read DOT 45684 2512, they were made in the 25th week of 2012. Now just because you bought your tires a few years ago does not mean that the tires are only a few years old. Tires can be several years old before you purchase them. Give your tires a good look at and you might prevent a roadside catastrophe. These are just two simple things we can do as a New Year’s Resolution to keep our vehicles safe and reliable. In my opinion, they take way less time than making it to the gym! It’s hot out there. As tempting as lounging at the pool or beach all day may be, sometimes it’s just not feasible. You’ve got places to go, people to see. And if a car is needed to get things done, the sweltering temperatures can lead to a malfunctioning A/C, burning hot steering wheel, or even a dead car battery. While we can’t bring you cooler weather, we can help you beat the heat with these hot weather car maintenance tips. Prevent battery meltdowns: Cold weather can trigger problems with your car’s battery, but hot weather is actually just as brutal. Excessive heat can cause battery fluid to evaporate, resulting in a malfunction in the charging system. This will potentially destroy the battery. It’s a good idea to have your car inspected for safety and serviced before you head out on a summer road trip. Get the most out of your air conditioning: Your A/C should also be serviced regularly, but if it still doesn’t seem cold enough, Mechanic Matt has some tips on how to get the most out of your system. If you are in a dry climate with low humidity, use the “fresh air” setting to bring in outside air, which allows the A/C system to cool more efficiently. And if you live in a humid area, set the A/C to “recirculate”, which eliminates the use of high-moisture outside air and makes it easier for the A/C system to cool things down. 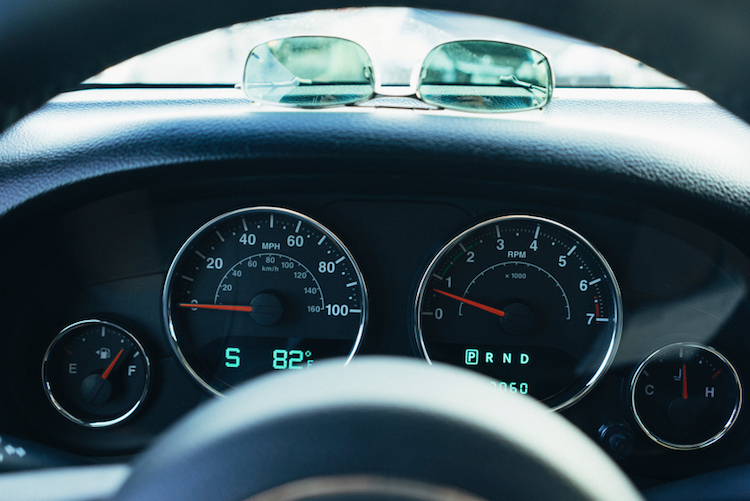 Keep an eye on your coolant levels: Your cooling system is working overtime to keep your engine from overheating. To keep it working efficiently, make sure the coolant and distilled water mixture is 50:50. But never open a hot radiator cap, because hot pressurized coolant can spray out! If you aren’t a DIY kind-of-person, your mechanic can change the coolant for you. This should typically be done once a year, but you should check your owner’s manual for recommendations on the frequency.